No ordinary Terrascope, this artful piece was created in collaboration with French street-artist Gully and is named the Graphiscope. 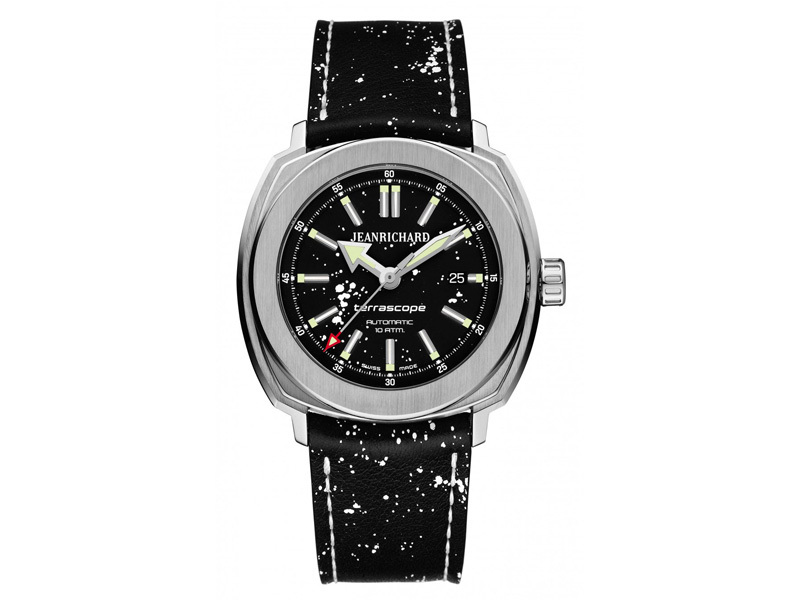 Using the iconic vertically satin-brushed and polished steel Terrascope case as the canvas, the watch features a dial with spotted white paint, similar to the effect of a graffiti spray. 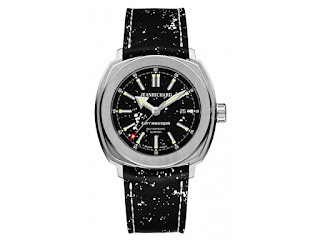 The splashes of paint continue on the black Barenia© calfskin strap.